Unlike retiring to one of the member countries of the EU, retiring to Australia is a bit more complex. You need to obtain an Investor Retirement Visa which is quite difficult to get hold of unless you meet the financial requirements which are set at levels of at least A$500,000. So, unless you can raise that capital from the sale of assets you have in the UK, you are unlikely to be unsuccessful. In addition, you need to be able to prove that you will receive a net annual income of around A$65,000 from any savings, pension or investments. The visa only entitles you and your spouse to live in Australia and other dependants don’t qualify. It doesn’t entitle you to citizenship either and runs for a period of 4 years after which it can be renewed if you still qualify. You also need to fulfil health and character requirements as well. The climate in Australia can vary between its vast geographical expanses but, in general, it has its 4 seasons – winter, spring, summer and autumn just as the UK does but obviously at opposing times of the year. So, Christmas, for example, could be spent having a barbecue on the beach whilst July could be extremely cold. The difference to bear in mind though is that Australian summers can be punishingly hot and much hotter than the UK where temperatures can reach well into the 40s Celsius. This might be something to bear in mind if your health isn’t as good as it once was. Australia has excellent medical healthcare facilities but the fact that you are British means that you’ll have to take out private health insurance as you won’t be covered under Medicare which is Australia’s public healthcare system. 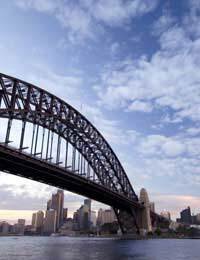 Many UK retirees choose to rent first and buy later when they decide to retire to Australia. If you choose to buy, you can pick up some remarkably cheap properties in less popular areas but the major conurbations such as Melbourne, Adelaide and Brisbane are more expensive but good value for money whilst Sydney is expensive. What you will find, however, is that due to the Australian lifestyle, you’ll often get far more value for your money with many houses typically having large backyards or gardens and a swimming pool although you can buy apartments easily enough. Shopping in Australia is much the same as shopping in the UK or USA in terms of stores, shopping centres and supermarkets – only the names are different. Therefore, popular outlets include the likes of K-mart, Target, Big W and Bayswiss. Coles is a popular supermarket chain and you’ll even find Woolworths. For some cheaper bargains, Australians have embraced the culture of garage sales which are extremely popular. As a nation, Australians are all about sports, adventure and the great outdoors although you’ll find all of the usual attractions if you visit the larger cities. Don’t expect Australia to be a particularly cheap country to live in. A useful tip is to buy Australian produced food and other locally produced items wherever possible as the cost of imports hikes the prices up. Utility bills are reasonable however. Western Australia also tends to be a bit cheaper. Probably the one major consideration about retiring to Australia, apart from the qualification criteria, is its geographical distance from the UK in terms of receiving support from friends and family and relocation back to the UK if one spouse dies, for example not to mention the cost of flying which will make ‘fleeting’ trips back home a lot more prohibitive as well as well as for family and friends who won’t find it as easy to come out to visit you.